It is every woman’s dream to have a wardrobe full of beautiful clothes and stylish shoes. However, even the most branded wardrobe cannot do justice if not paired with the right accessories. Accessories are essential to bring the added oomph to your carefully selected clothing choices. Moreover, accessories help to uplift an otherwise boring outfit, cover problematic areas of your body and help to alternate any dress from formal to casual and vice versa. We have good news for all the women looking for adorable, durable, stylish and great quality yet reasonable accessories. Your one stop destination can be Oshi.pk. You are just a click away from entering our world of fabulous accessories! Watches are timeless beauties and a must wear for everyone stepping out of their homes be it for a lunch, dinner or even a wedding. Whether you wear a digital or analogue watch, silver or gold, delicate or chunky; a watch can add grace and sophistication to any outfit. We have a wide range of ladies and gents watches in Pakistan with different brands different prices. Splurge away on the style, price and look which you love the most! Sunglasses are a much needed accessory in the scorching hot summers as well as an apt accessory to make a style statement. So don’t forget to complete your look with a pair of attractive sunglasses in Pakistan. Whether you want aviators, wayfarers or round frames; we have all types and many more at Oshi.pk. Bags are maybe the most essential accessory. It serves a big purpose of keeping your items secured in place as well as serves as laptop bags, travel bags, briefcases, and wallets. Oshi brings a wide range of high-quality backpacks that are ideal for offices, universities, and travel. Don’t be afraid to get creative with all the different colors available in our range. 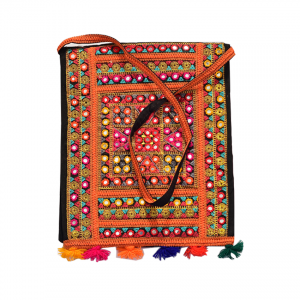 In today’s time, colorful bags are the bomb! All women love jewelry be it necklaces, bracelets, rings, etc. it is up to the person to choose delicate or heavy jewelry but both types can go well with the outfit you choose. Oshi.pk has a wide assortment of jewelry for women in Pakistan, which is of good quality and affordable. An extensive array of high-end tech accessories like power banks, wireless chargers, waterproof pouches, headsets, blue tooth headsets, Oculus eye gear, stereo speakers, and Bluetooth remote and many more are available on the Oshi Online portal. Get your workstation equipped with the latest computer, tech and mobile accessories from Oshi.pk! Men’s belts are not only unavoidable accessory but also depict the fashion and style report of him. Belts complete the dressing of a man and if it is not up to the mark, it could ruin your style. Need some stylish and durable belts to add in your wardrobe? Check out the latest fashion leather and men casual belts online at oshi.pk and recreate your style into trendy one. Wallet is a must-have for every man –they just couldn’t leave the house without it. It is the most essential accessory that keeps their cash and cards safe. At Oshi.pk, we have a huge range of stylish and durable wallets to fit in your formal, casual and semi-casuals. Add more class by opting for the elegant wallet for men offered at Oshi.